The sounds of the water on the shoreline and the peaceful environment at Jackson Lake are well known stress relievers for local residents. In short, living on the lake makes you feel good. Consequently, we are not surprised that science now supports this. Specifically, a report published by the journal Health & Place, concluded that living near a shoreline is good for your well being—even in a bustling urban environment. Specifically, the increased views of water (researchers call this blue space) are associated with lower levels of psychological distress, according to Amber Pearson, assistant professor of health geography and a member of MSU’s Water Science Network. The rural roads surrounding Jackson Lake offer quiet and safe bicycling. Explore 20 -100+ mile routes for with rolling terrain and sparse traffic. Read what others have to say about living and vacationing on Jackson Lake on the Jackson Lake Life Facebook Page , visitor comments. Lake Homes Jackson is the number 1 choice for buyers of Lake Houses For Sale in Georgia. Lake Homes is the Nation’s largest Broker for Lake Only Real Estate. We have a very successful, experienced, lake focused web marketing team and receive over 100,000 site visits for Jackson Lake alone! Plus, Wally Cawthon’s local expertise is beyond compare. He will guide your lake home search to find the property that best suits your needs and desires. 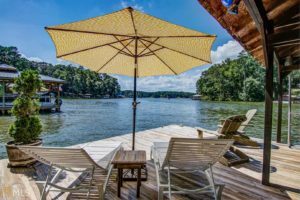 If the time comes that you wish to sell your Georgia lake home, we will use our creative and proprietary techniques to make your property famous. We list your property on MLS sites and social media, targeted print media and good old word of mouth. 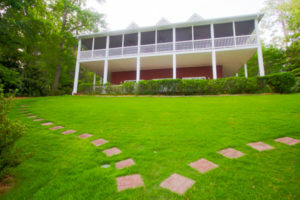 We are JacksonLakeLife.com and our co-branding with Lakehomes.com creates a broader exposure for your property. This generates not just local/regional interest in your property, but national and international exposure. You will receive Pre-Sale Consulting – our innovative strategies address seemingly small obstacles that can kill a sale BEFORE a potential buyer sees your home. Learn more about listing your home with Wally Cawthon.